This new home in Magnolia began as a remodel potential and evolved into a 5000 sq ft custom family home. Clients wanted an area to entertain, space for their small kids to play inside and out, and plenty of room to put away clutter. They were looking for an interior feel of cohesion, serenity, and organization. The homeowner wanted a “catch-all” room at the entry complete with mail collection and backpack cubbies, as well as space for crafts and projects. The end result is a Northwest contemporary view home with space for doing just about anything! These homeowners were decisive and detail-driven, and wanted a complete renovation of their 50’s view rambler in Kirkland. Axiom went to work to revive and refresh the home and created a vaulted great room space using functional simplicity. The use of woods and limestone coupled with the elegance of a modern white palette maintain a sense of calm. The end result is a stunning mid-century renovation with a chef’s kitchen, spa-like baths, and timeless details throughout. Design + Build is a team approach to architectural design and construction services, focusing on quality control from the start of your project and architectural know-how during the construction process. As both licensed architects and general contractors, we emphasize quality design and craftsmanship over low-cost/low-bid construction. 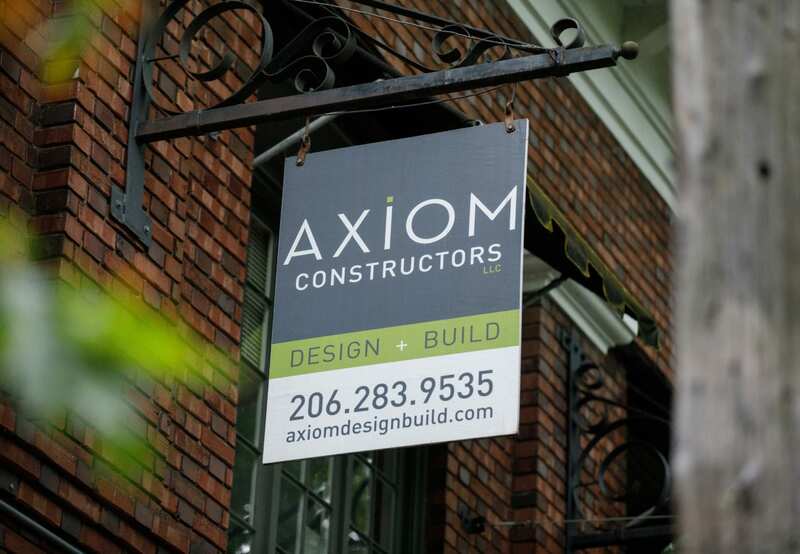 Whether you’re looking to build an ultra-efficient industrial modern home or create a personalized architectural statement, Axiom combines decades of expertise with a love of innovative materials and design to translate your vision into reality.